The Hotel has a great location in the centre of picturesque Keswick, in the heart of the English Lake District.Luxurious guest rooms with a renovated public bar and a another livelier bar at the rear of the hotel. Our Hotel has 35 en-suite bedrooms some with superb views of the Lakeland Fells.We have a range of single, double and twin rooms to suit every need. Within our hotel we have a public bar with a cosy log fire overlooking Keswick Market Place.have At the rear of the hotel we have a second livelier bar. Our Hotel is also situated close to excellent country pubs. 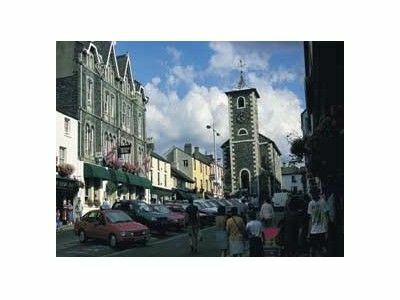 Our Hotel is located in the centre of Keswick, in the heart of the English Lake District. For more information or to book Queens Hotel in Keswick Lake District, please click on the 'Visit our Website' or 'View Availability' links above.We hope you enjoy your visit to Keswick, in Cumbria. Please see the map below for our location and links to local attractions and things to do in the area. Located in the centre of Keswick.